Michael Patrick Albano is an Associate Professor as well as the Resident Stage Director of the opera programme at the University of Toronto’s Faculty of Music, where he has staged over forty operas including the Canadian premieres of Debussy’s L’Enfant Prodigue, Paisiello’s Il Barbiere di Siviglia, Britten’s Paul Bunyan and Kulesha’s The Last Duel. 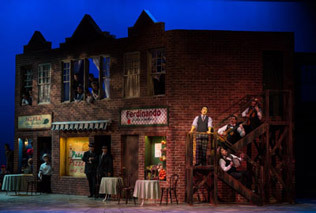 Mr. Albano’s directorial credits include Il Barbiere di Siviglia for the New York City Opera, Le Comte Ory for the Manhattan School of Music, Le Nozze di Figaro for the Yale School of Music, L’ Elisir d’amore for Opera Hamilton, La Belle Hélène for the Opera Theatre of St. Louis, Verdi’s La Traviata for the Opera Festival of New Jersey, The Gondoliers for the Brevard Festival and a new dialogue version of Die Fledermaus for the Kentucky Opera. For the Canadian Opera Company he has directed La Bohème, Gianni Schicchi, Swoon, Il Barbiere di Siviglia and Così fan tutte. In addition to his directorial assignments, Mr. Albano is a frequent contributor to the Canadian Broadcasting Corporation, for which he has devised the documentaries Love Letters, Wit, Wisdom and Song and Edward and Mrs. Simpson. He has written and directed An Evening with Noel Coward, starring John Neville for Toronto’s CentreStage which was subsequently broadcast over the CBC’s Arts National. An accomplished librettist, Mr. Albano has written four original children’s opera librettos; The Very Last Green Thing, The Thunder of Horses (based upon a Blackfoot Indian legend) and The Enchantment of Dreams - commissioned & performed by the Opera Theatre of St. Louis and the Washington Opera. In 2005, A Dickens of a Christmas was commissioned and premiered by the Canadian Children’s Opera Company. Subsequent commissions from the CCOC include Laura’s Cow, The Legend of Laura Secord, premiered by Luminato in June of 2012 and Alice in Wonderland, presented at Toronto’s Enwave Theatre in the Spring of 2015. Additional librettos include Gianni (based on the life of the baroque composer, Giovanni Pergolesi) for Opera Lyra, The Last Duel (with music by Gary Kulesha) for MusicCanada 2000 and Loss of Eden (based upon the lives of Charles and Anne Lindbergh) which was premiered in June of 2002 by the Opera Theatre of St. Louis, subsequently repeated in Minneapolis and broadcast over National Public Radio. 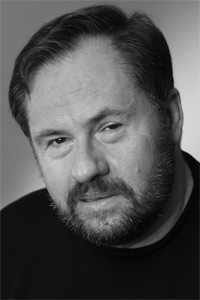 Mr. Albano’s interest in the development of original opera librettos has led to a unique graduate course in operatic composition at the University of Toronto’s Faculty of Music as well as his involvement for the past twenty years as resident dramaturge for the Tapestry New Opera Works annual composer/librettist laboratory. Recent librettos include Rob Ford, the Opera, Antigone, Encounters and The Machine Stops for the University of Toronto’s Student Composer Collective as well as Footsteps in Campbell House, presented at Toronto’s historic Campbell House in January of 2015. He is currently working on a full length opera, Fall River, the legend of Lizzie Borden (to be premiered in Toronto during the 2017 - 18 season) as well as a play about Lorenzo da Ponte entitled He wrote the words.